I’m sure you’ve realised by now that I’m not one for strictly following recipes. Although I give you recipes with exact measurements here on the blog, I always encourage you to use your taste-bud-intuition, it knows best! While I might like an extra pinch of salt, you might prefer an extra pinch of pepper. This flexibility is particularly relevant for pestos. 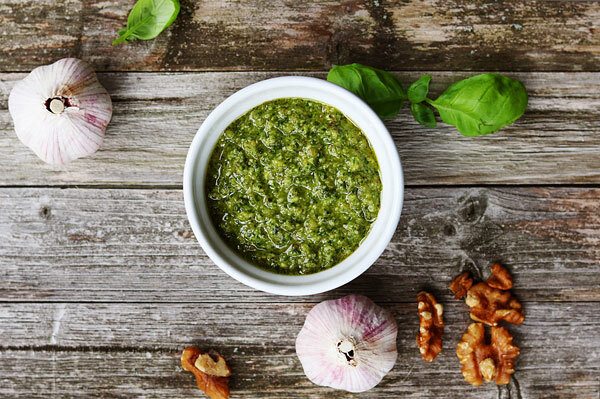 You can make a vegan pesto with a number of fresh herbs including mint, parsley or coriander. 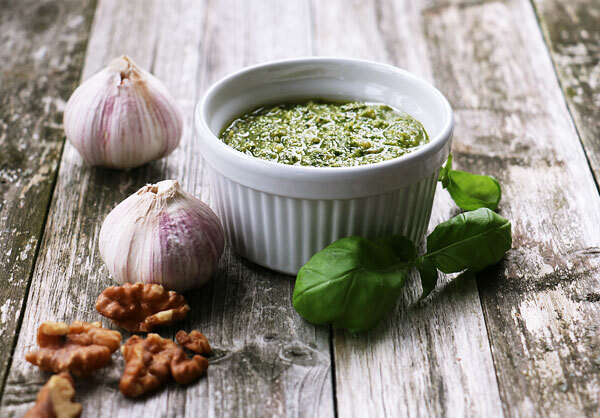 You can also choose the type of nuts you want to use for your pesto too, influencing the texture and flavour. I had intended making a traditional basil pesto but I ran out of pine nuts and used a half batch of walnuts instead. I think I’m kinda’ in love with walnuts at the moment but you could use hazelnuts if you have some. If there is one rule to follow then it’s got to be that you use your best olive oil for a pesto! Place all of the Fresh ingredients and the nutritional yeast into a food processor and mix until you’ve got a coarse paste. Slowly add in the olive oil until you’ve reached your required consistency.